Dr. Carl Clauberg (left) with his staff in the operating room in Block 10, Auschwitz. The Medical Case, the first of twelve subsequent Nuremberg proceedings tried by the American Nuremberg Military Tribunal, began on October 25, 1946. Twenty-three physicians, scientists, and other senior officials in the Nazi medical administration and the army were put on trial. Seven of the accused were sentenced to death and executed; nine were sentenced to long prison sentences; and seven were acquitted. Several major perpetrators were never tried for their crimes, among them Josef Mengele, doctor at Auschwitz-Birkenau, who escaped to South America; and Horst Schumann, who was judged physically unfit to stand trial in the 1960s. The following bibliography was compiled to guide readers to selected materials on Nazi medical experiments that are in the Library’s collection. It is not meant to be exhaustive. Annotations are provided to help the user determine the item’s focus, and call numbers for the Museum’s Library are given in parentheses following each citation. Those unable to visit might be able to find these works in a nearby public library or acquire them through interlibrary loan. Follow the “Find in a library near you” link in each citation and enter your zip code at the Open WorldCat search screen. The results of that search indicate all libraries in your area that own that particular title. Talk to your local librarian for assistance. All items are in English unless otherwise indicated. A collection of essays by medical historians. Includes seldom-published information from primary sources, such as diary entries and letters from doctors involved in Nazi medical experiments. Based upon testimonies of survivors of Nazi medical experimentation. Describes in detail the activities of a handful of the most notorious SS-physicians. Includes several photographs and a bibliography. Provides an overview of the pseudoscientific Nazi experiments conducted in the name of medical research. Discusses in detail medical experimentation at various concentration camps and the legal proceedings at Nuremberg after the war. Includes a short bibliography. Discusses in detail the Nazification of the medical profession during the Third Reich, and the legal framework that supported medical killing and experimentation on human beings. Reports on the role of Nazi doctors in the euthanasia programs, concentration camps, and extermination centers. Includes a short bibliography. Chronicles the collaboration between German eugenicists and the Nazi administration. Includes an essay by Nobel Laureate James D. Watson in which he considers the impact Nazi-influenced eugenics has had on modern human genetics research in Germany. A thorough account of Nazi experimentation on inmates at various concentration camps. Includes several photographs. Documents medical experimentation and euthanasia in Germany and Austria from the late nineteenth century to modern times, with a special emphasis on the period 1933 to 1945. Tracks the post-War careers and activities of doctors who participated in experimentation on human beings during the Third Reich. Includes numerous illustrations and photographs. Transcripts of a three-day meeting documented on film in 1988, in which Dagmar Ostermann, a former inmate at Auschwitz-Birkenau, confronts Hans Wilhelm Münch, former SS man and Nazi physician at Auschwitz. Includes transcripts of separate follow-up interviews in 1994, photographs, maps, and a glossary. A report featuring eyewitness accounts and primary source materials regarding experimentation on inmates at Auschwitz-Birkenau. Lifton, a renowned psychiatrist, examines the Nazi doctors’ behavior and motivation, with special attention given to medical staff at Auschwitz-Birkenau. A survivor’s account by a Jewish doctor who was forced to assist Mengele in performing experiments on fellow inmates at Auschwitz-Birkenau. Presents translated excerpts of hundreds of letters, affidavits, and other accounts related to medical experimentation on humans conducted in the concentration camps. Also includes the author’s evaluation of the decline of medical ethics in Nazi Germany. Includes an appendix with brief descriptions of the doctors who performed the experiments, and a bibliography. A compilation of testimonies by twenty women who endured experimentation by the Nazis at Auschwitz and its sub-camps. Includes illustrations, correspondence with former SS physician Hans Münch, biographical notes on the SS, a glossary, a bibliography, and a synopsis of major dates and events referred to by the participants. An investigation of SS physician Josef Mengele’s life, including the atrocities he committed and his escape to South America. A four-volume work examining the careers of Karl Brandt (Hitler’s top medical authority), Josef Mengele and other Nazi doctors. Also discusses the numerous pseudoscientific and murderous programs operated by the Nazi medical establishment, and the Medical Case at Nuremberg after the war. The true story of Jack Oran, who survived a series of bizarre procedures and experimental surgeries at Auschwitz. Biography of Dr. Mengele, written for young adult readers. Part of the Heroes and Villains series. A first-hand account of how Eva Mozes Kor and her twin sister, Miriam, survived Auschwitz and Mengele’s experiments. Provides the account of Eva Mozes Kor and her sister Miriom Mozes Zeiger who, as twins in Auschwitz, were subjected to experiments by Josef Mengele. Includes photographs and is written for young-adults. Relates the story of the Ovitz family, musical theater performers and dwarves, who were subjected to medical experiments by Dr. Joseph Mengele in Auschwitz. 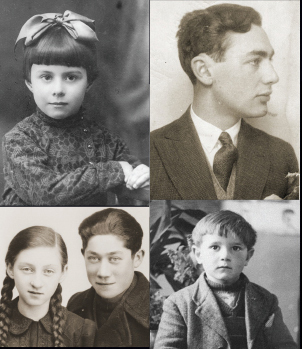 The entire family was survived the Holocaust because of Mengele’s interest in them as experimental subjects. Includes photographs and an index. Provides a short biography of Mengele, including his SS career, activities in the concentration camps, and flight from justice. Survivors’ recollections counterpoint a detailed description of Mengele’s experiments on twins at Auschwitz. Chronicles the survivors’ post-War lives and explores how they are coping with their childhood trauma. Includes numerous photographs. An eyewitness account by a member of the Ovitz family and theater troupe, all of whom had to endure Mengele’s experiments. Includes numerous family photographs and a follow-up on the family’s post-War life in Israel. A biography of Mengele with numerous rare photographs and primary source materials from Mengele family papers and diaries. Federal report on Mengele’s whereabouts and post-War activities. Describes key findings of the investigation, including DNA test results on remains found in Brazil in 1985 and determined to be Mengele’s. A chapter of Wiesenthal’s memoirs in which he recounts his search for Mengele and subsequent international efforts made to have Mengele extradited from Paraguay or captured. An analysis of the Nuremberg Code, which defines the ethics of modern medical experimentation on human beings, by renowned scholars, the chief prosecutor of the Nuremberg Military Tribunal, and a survivor of the Mengele twin experiments. Presents the complete transcripts of the 1946-47 trial of Case 1, the “Medical Case,” along with related documents and materials presented by both the prosecution and defense. A finding aid to the 320 microfiche in this collection is shelved at Microform Guides KZ 1179 .M43 A3 2001. Provides an overview history with a legal analysis of the trial itself and a philosophical investigation of the trial’s implications for medical ethics. Presents a discussion of the types of medical experiments conducted by the Nazis during World War II and how the results of those experiments have been approached by the medical community. Includes photographs, an extensive bibliography, and an index. Consists of facsimiles of primary source documents available at the National Archives and Records Administration in Washington, DC, regarding the prosecution of the Nuremberg trials. One of the earliest published accounts of The Medical Case and the crimes committed by its defendants. The Library also has an edition in German under the title Das Diktat der Menschenverachtung: eine Dokumentation. Traces the history of the Medical Trial by relating the role of Dr. Leo Alexander, a prominent psychiatrist who assisted with the prosecution team. Examines Dr. Alexander’s role as an expert advisor during the trial as well as his role in shaping the code of ethics regarding human medical experimentation that was one of the trial’s legacies. Includes numerous photographs, a bibliography, and an index. The transcripts of the proceedings of Military Tribunal No. 1, Case 1, commonly referred to as The Medical Case, held from October 25, 1946 to July 19, 1947. Part of a fifteen-volume set containing the indictments, judgments, and other important portions of the record of the twelve trials before the Nuernberg Military Tribunal. Available online through the Library of Congress (external link). Presents a detailed analysis of the Medical Trial. Examines the role this trial played in shaping postwar discussions of medical ethics. Includes an extensive bibliography and an index. A chronology and analysis of the proceedings of The Medical Case. Includes trial transcripts, photographs, eyewitness accounts, and a summary of the verdicts. An inquiry into the role of doctors in designing the Holocaust. Shows how the Nazis’ mass killings grew out of the German medical establishment’s willing implementation of euthanasia and other practices with seemingly legitimate ends. Documentary account of the life of Eva Mozes Kor, a survivor of medical experiments in Auschwitz, who publicly forgave Dr. Joseph Mengele, the man who conducted the experiments on Eva and her twin sister Miriam. An hour-long documentary on Josef Mengele, including his activities as an SS physician, his flight from justice, and the investigation surrounding his death. 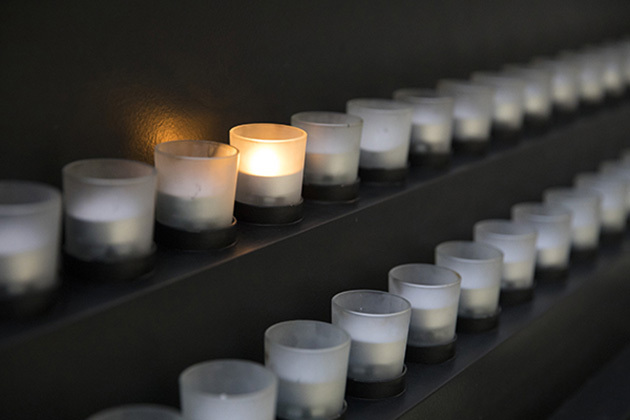 An online exhibition prepared by the United States Holocaust Memorial Museum. Includes photographs, excerpts from the original trial record, a statement of the sentences imposed against those found guilty, and the text of the Nuremberg Code. Introductory article providing general information about the medical experiments performed by Nazi doctors on prisoners in the concentration camps. Includes links to related articles and Web sites. Presents archival film footage held by the Steven Spielberg Film and Video Archive at the United States Holocaust Memorial Museum and documenting various war crimes trials related to medical experimentation on prisoners in concentration camps.